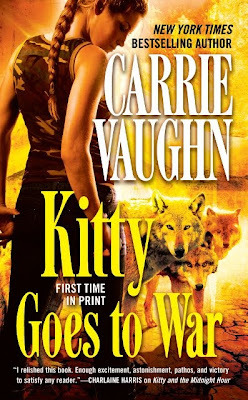 Carrie Vaughn has the cover for Kitty Goes to War, the 8th Kitty Norville book. According to Carrie this one is due out in August. I'm just finishing up ready Kitty's House of Horrors and having a great time. Are you a Kitty fan? I've enjoyed all the Kitty books but...the last few were a bit much. I hope Carrie gets back to Kitty at home in CO. Sorry, I've not read any of the Kitty books! Beret it is hard to imagine what this one is going to be about. War with whom? Although not at home, House of Horrors was a great read. Alex I hope you get the chance. I read the first one just on the title alone and am glad I did. A fan ever since. 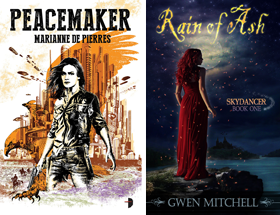 I have loved these books since the first chapter of the first book. I hope to see many more. I also really enjoyed the beginning of this series. I even got over the lackluster romance of Kitty and Ben and pushed through until “Raises Hell.” But, the characters for the paranormal investigator team just irked me so I gave up the series. I’m not sure where this irrational dislike for PI teams stems from (I kinda had the same reaction to similar characters in the latest JR Ward), but after reading your review I think I will give it another go. I agree with your pros for the series: Kitty’s growth and the contemporary time period is really what hooked me. You’ve really piqued my interest with Cormac’s release and can’t wait to read the details.